GDPR – ensure appropriate measures are put in place! When the EU General Data Protection Regulation (GDPR) comes into force, all companies that process EU citizens’ personal data will be required to meet the corresponding requirements by 25 May 2018. Significantly more stringent data protection regulations and the increasingly explosive nature of personal data on paper are the consequences. However, you're on the safe side with IDEAL's quality document shredder. Particular attention is to be paid to paper as a data carrier! Data protection is usually understood to mean electronically processed data. However, the fact that the GDPR provisions also apply to personal data on paper is often overlooked. How can such paper documents be protected? Large amounts of confidential data are still stored on paper – and frequently simply end up in the waste paper basket when no longer required. In addition to offers, contractual documents, bank statements and vouchers, these include personnel, tax and accounting documents as well as research and development data. Personal data are, in particular, extremely sensitive and subject to strict data protection law requirements. Such data, therefore, need to be processed in a timely manner and destroyed securely, as stipulated by the GDPR. Merely 35 % of all German companies have guidelines in place for storing and handling paper documents. However, they will all need such guidelines at the latest when the GDPR comes into force. In this context, importance is also to be attached to updating the existing documents – i.e. data minimisation – because such documents must similarly comply with the more stringent requirements. This also includes destroying files and documents for which the storage periods have expired. In the future, collecting data on a supply basis will be prohibited. Those who ignore the more stringent GDPR requirements and the implementation period run the risk of exorbitant penalties. In addition to hefty fines and targeted criminal prosecution, a conflict or reputational damage can quickly become a major problem. 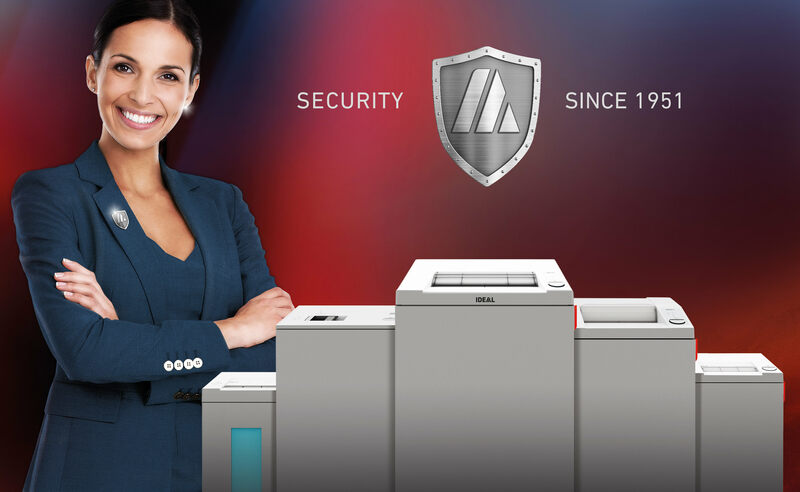 When used at the appropriate security level, IDEAL document shredders provide protection against this and safeguard the good reputation and trust of customers, business partners and employees. Professional IDEAL document shredders, therefore, rank among the basic equipment used by companies, authorities and other institutions, and as a result should be integrated in every data protection concept. IDEAL shredders destroy all data directly and on site where they are created – at the individual workplace. This is the only way to be on the safe side. In accordance with GDPR, proof must similarly be furnished of complying with the data protection requirements in addition to working in line with legal requirements. On the landing page www.ideal.de/en/gdpr IDEAL provides extensive background knowledge about and practical tips on all aspects of the GDPR. 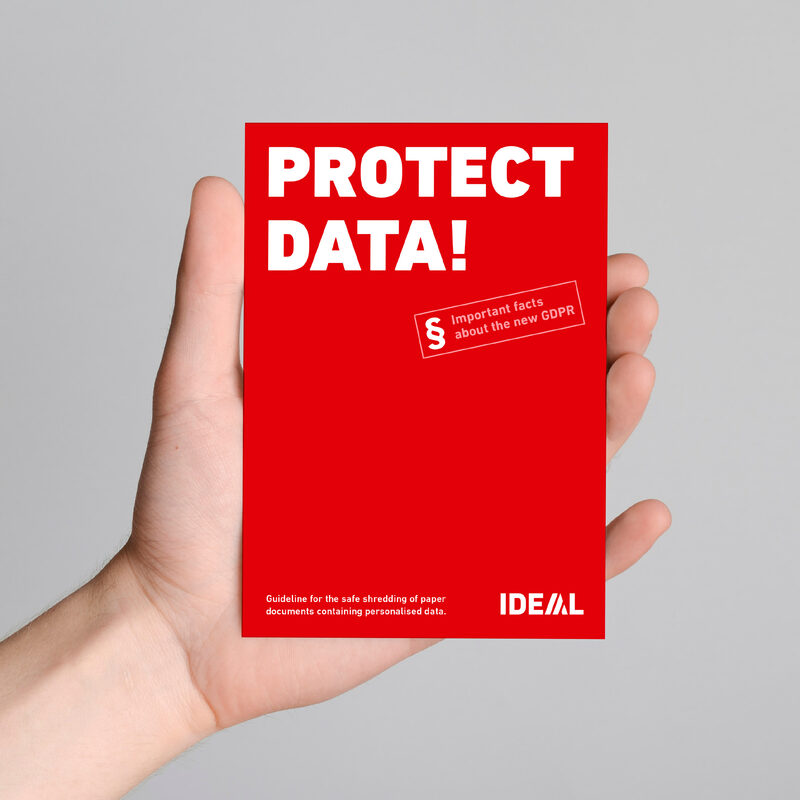 The IDEAL data protection primer in a handy DIN A6 format explains how personal data and confidential documents in paper form can be safely destroyed. This practical guide is available from IDEAL as a printed document.